If you are a fan of Peter Noone or Herman’s Hermits, you are probably already aware that he will be performing at the Arvada Center outdoor amphitheater on June 24th. 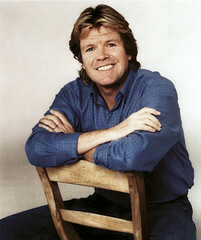 What you may not know is that Peter Noone has a brand new website for his fans. It is complete with photos, a blog, and free downloadable music. John Moore, Theater Critic for the Denver Post writes, “The Arvada Center has won its first Denver Post Ovation Award for best year by company, while Curious Theatre founder and artistic director Chip Walton has been named the 2005 theater person of the year in Colorado. Read the rest of the article at https://www.denverpost.com/entertainment/ci_3355623 . Cynthia DeLarber, director of marketing and patron services at the Arvada Center for the Arts and Humanities, has been awarded the Presidentâ€™s Volunteer Service Award for 2005. This award is issued by the Presidentâ€™s Council on Service and Civic Participation on behalf of the President of the United States to recognize the best in the American spirit and encourage all Americans to contribute through volunteer service. In October 2005, Ms. DeLarber spent two intense weeks as a volunteer in Moldova, located in Eastern Europe between Romania and Ukraine, where she helped develop a three-year communications plan for regional offices working to combat human trafficking. Her participation in the New Perspectives for Women project took place under the auspices of Winrock International, a non-profit organization that works with people in the U.S. and abroad to increase economic opportunity, sustain natural resources and protect the environment. Moldova is one of the poorest European nations in terms of per capita income. It is estimated that as many as one million Moldovans are living and/or working abroad. With poor socio-economic conditions, high rates of unemployment and a largely rural population, many Moldovans fall victim to false job promises or other schemes abroad in the hopes of improving their lives. Women, children and young adults are particularly vulnerable populations, especially for the purpose of sexual exploitation. New Perspectives for Women was created by Winrock in 2004 in collaboration with local non-government organizations (NGOs) and funded by the U.S. Agency for International Development (USAID) to assist victims, raise awareness through educational outreach programs and create alternative employment and business opportunities in Moldova. Ms. DeLarber, who speaks some Russian, worked with two Regional Support Centers (RSC) in the rural towns of Comrat and Cahul. During her project, she led several training sessions on marketing and publicity, which were simultaneously translated into Russian and Romanian with the aid of interpreters, to reach a wider local audience. She also developed a comprehensive media plan, revised and edited marketing materials, developed new content for and redesigned the projectâ€™s website, enabling the RSCs to promote their services to Moldovan women. “The goal isnâ€™t to impress or overwhelm them with your knowledge or the powerful marketing tools of the West,” she said. “It’s to move them along and give them tools that will work in their culture and country.” Ms. DeLarber took special care to ensure that the advertising outlets and methods she recommended were available, cost-effective and appropriate means of communication in this former Soviet nation, currently under Communist rule. Ms. DeLarber has served as Director of Marketing and Patron Services at the Arvada Center since 2004. She has 20 years of experience in all aspects of marketing, promotions and public relations working for organizations that enrich the lives of children and adults. She holds a Master of Business Administration from the University of Colorado at Denver and a Masterâ€™s degree in Public Policy from Claremont. For more information about Winrock Internationalâ€™s volunteer programs and opportunities, visit winrock.org or write: Volunteer Technical Assistance, Winrock International, 2101 Riverfront Drive, Little Rock, AR, 72202. The Arvada Center will kick off its summer concert season and its 30th Anniversary celebration on Friday, June 9 at 7:30 p.m. with a highly-anticipated performance by the Arvada Center Chorale and Musicians of the Musica Sacra Orchestra. A multitude of free, pre-show activities for kids and adults starting at 5:00 p.m. will also help mark the festivities. 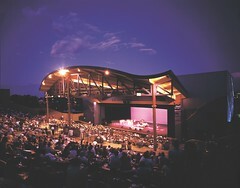 This annual outdoor concert will take place in the Arvada Centerâ€™s amphitheater and feature such musical gems as the â€œMozart Vespersâ€ for chorus and orchestra, Mozartâ€™s â€œDivertimento in D Majorâ€ for strings, Morten Lauridsenâ€™s â€œNocturnesâ€ and a specially commissioned choral work titled â€œWe are the Music Makersâ€ in honor of the Centerâ€™s 30th Anniversary celebration. â€œWe are the Music Makersâ€ was written by Keith J. Arnold, music director of the Arvada Center Chorale. The work is arranged for Chorus, Brass Quintet, Strings, Organ and Narrators and will be performed by nearly 100 singers and an orchestra of 20. It celebrates the ways in which all of the arts (music, visual art, dance and theater) improve our lives and â€œwash away from the soul the dust of everyday lifeâ€ (Red Auerbach). Text is drawn from such literary luminaries as Arthur Oâ€™Shaughnessy, William Shakespeare and Helen Keller as well as legendary Boston Celtics basketball coach Red Auerbach. The piece is intended as a tribute to those who devote themselves to the enhancement of their community and the world through the arts. Family-friendly activities begin at 5:00 p.m. and will include face painting, sidewalk chalk drawing with cartoonist David Sullivan, balloon animals and the opportunity to create original artwork for â€œA Work in Progress: Dog and Pony Art from the Community,â€ a continually expanding exhibition which will be on display in the Arvada Centerâ€™s Upper Gallery through November. Representatives from the City of Arvada Police K-9 Unit and Fire Department as well as other community organizations will also provide fun and informative activities for kids. Come with an appetiteâ€”the Center will be featuring $1 hot dogs throughout the evening! Tickets for the concert are $15 for covered seats and $12 for general admission on the lawn. To purchase tickets, call the Arvada Center box office at (720) 898-7200 or visit https://www.arvadacenter.org/perform/concerts.php?newsid=1768. All pre-show activities are free. Advocate Homes is the official 30th Anniversary Sponsor. The Arvada Center and Primo Vino are proud to present the Annual Wine and Arts Classic on Friday, June 2, from 5:30 p.m. to 8:30 p.m. in the Lower Gallery of the Arvada Center. This distinctive evening of art and culture will offer a tasting of select wines, entertainment by the Matt Fuller Trio, delicious hors dâ€™oeuvres and a live auction featuring works from leading regional artists. More than 25 artists have contributed artwork for the event, including Riva Sweetrocket, Bryan Andrews, Don Quade, Jimmy Sellers, Marie Gibbons and Gene Youngmann. Now in its fourth year, the Wine and Arts Classic raises funds for the Arvada Centerâ€™s award-winning youth programs that serve over 75,000 children annually. Tickets are $30 per person and $50 per couple. For tickets and additional information, please call (720) 898-7200. The Arvada Center gratefully acknowledges the following event sponsors: 5280, Bank of Choice, City of Arvada, 1STBank, Go Figure Accounting & Tax Solutions, Holme Roberts & Owen LLP, Niebaum-Coppola Winery, Primo Vino and Wells Fargo.